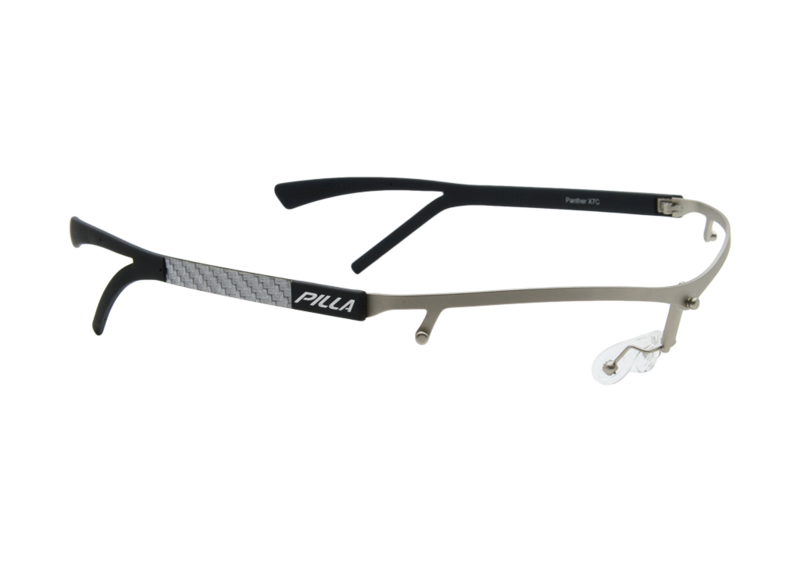 The most advanced piece of eyewear you get put your hands on! Designed with the input of Max Michel, IPSC World Champion! 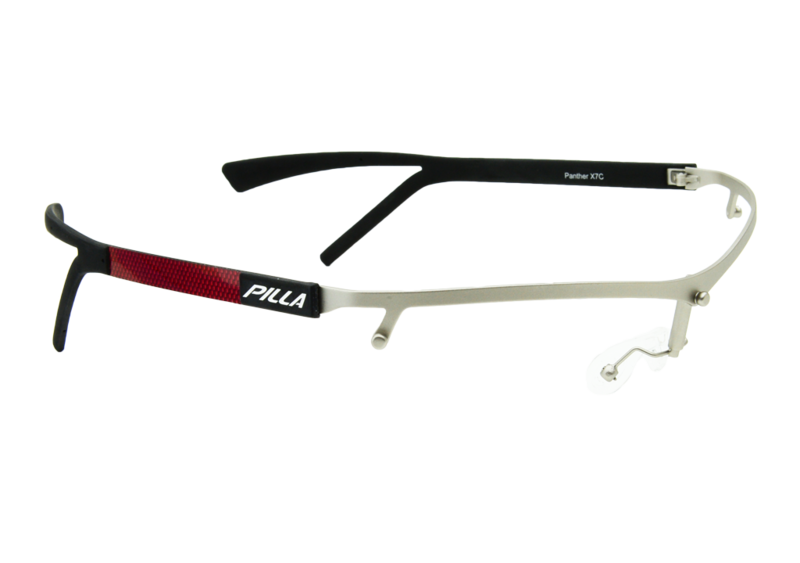 The Pilla Sport - Panther X7-C Post System is a fully adjustable interchangeable mask technology. This model uses a Carbon Fiber temple system. Every aspect of the Panther Post System has been engineered to perform with perfection and is fully adjustable to customize the fit to the shooter. Our design philosophy is very simple: Function trumps all. We utilize materials in our frames that provide functional benefits to the athlete while providing longevity of use. We pride ourselves on using state-of-the-art materials to reduce weight which enhances both functional performance but also comfort. We have created systems of lens interchangeability that are patented. These systems have been engineered to allow athletes to change to the proper lens for maximum eye performance. The system facilitates quick and easy changing. The materials we use are tested to deliver extended use and hold up in the toughest of conditions. 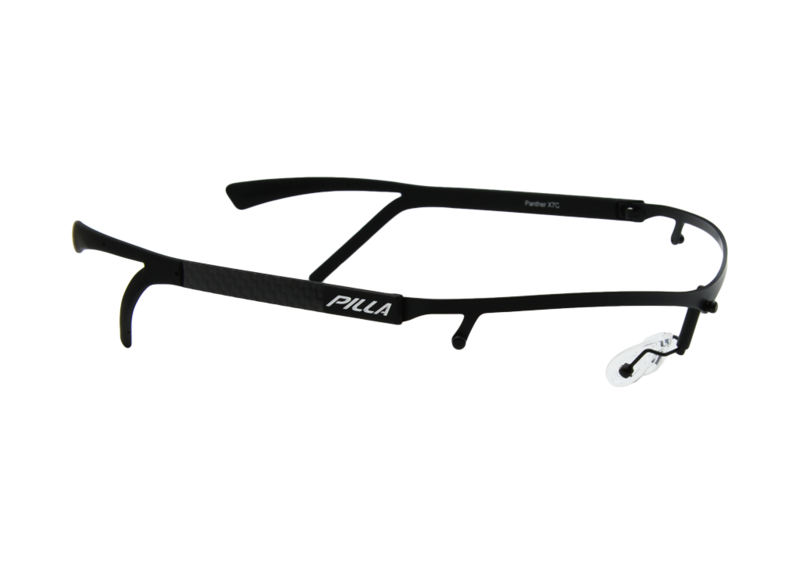 At Pilla, we are only satisfied with simple, elegant solutions. It should not be difficult to change out your lenses, and our patented systems of interchangeability are incredibly easy to operate. Our Snap-Tec engineering that is used on both our Panther and Outlaw platforms was first introduced in 2002 and we have our 75,000 frames in the world using this technology. We have worked closely with athletes that are the elite in their sports. In working with them, we have crafted and refined frame geometries that are designed with shooting, archery, action shooting, equestrian, and aviation fully in mind. We have considered the performance needs, the weight and balance, as well as the overall comfort. The needs of shooters are different than the needs of archers, which are different than the needs of polo players. Pilla utilizes the finest in materials and is a leader in mixed material construction. We have spent years perfecting the materials we use and pride ourselves on providing our customers a product that stands the test of time and use. We use Carbon Fiber, Titanium, Italian Acetate, high performance rubber compounds, and hypoallergenic materials.